2016 is going to be my first full year of credit card churning in 2 years. We bought and sold a house last year and in anticipation of that I laid low on the credit card churning for almost 18 months. It wasn’t until August of 2015 until I had a full churn of 6 credit cards. Now that I have met my minimum spends it is time for another round of applications. This time it is my wife’s turn. I usually plan for a short term trip and a long term trip when deciding what cards to get. Our short term trip is usually taking the family to Hawaii. We managed to accomplish that goal in 2014 with trips to Hawaii (trip report) and Europe (trip reports part 1 & part 2). Then with having to cool my jets with the home purchase, 2015 was a slow year travel wise. Now I am getting cabin fever and going into full on churn mode. 2016 will be a good year. Our long term goal is taking the family to Ireland next summer. For the most part I have all the miles I need for that and getting 7 family members (mostly in business class) to Ireland next year will tap me out points wise. That means this churn will focus heavy on getting us to Hawaii. Here are the cards I am looking at. British Airways 100,000 miles: The sign up bonus for BA’s credit card is currently 100,000 miles after 22k in spending. You get the first 50,000 after spending 2k, another 25,000 miles after an additional 10k, and the final 25,000 additional miles after spending another 10k. I signed up for this offer in August and should finish up the 20k spend this month. Adding 100k to my wife’s account will be enough to get us to Hawaii. Wyndham Rewards 30,000 points: Wyndham did an amazing thing this year. They increased the value of the rewards! Talk about bucking the trend. Prior to the change points required for a reward night ranged from 5k to 50k. Now it is a flat rate of 15k across the board. Wyndham has a handful of luxury properties which make 15k redemptions a steal. Including the Koloa Landing in Kauai. As an added bonus the card earns 2x rewards on all spending. So it will be easy to manufacture free nights. Not to mention it is also a Barclay’s card making it legitimately churnable. BBVA Compass NBA Card: I also like to plan for some spending money as well. This card currently comes with a $200 sign up bonus. However, that is not the main reason I am interested in this card. Twice a year the card also offers 5x cash back on all spending during all star weekend and the NBA finals. That is very kind of BBVA. At the moment I am not seeing a 4th card that interests me much. I will probably toss in an Alaska Airlines card because I love AS miles and call it a day. 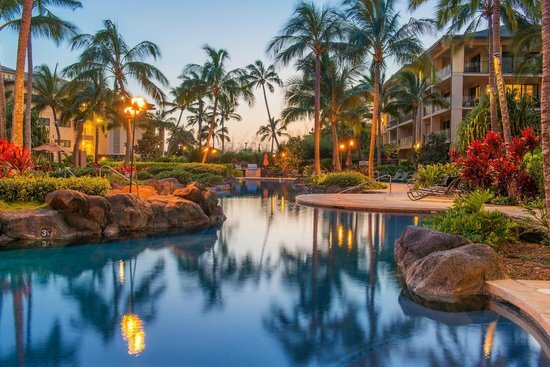 6 Comments on "Planning my Next Credit Card Churn"
What are you going to do with Wyndham in Hawaii? If it were me, I’d focus on how you are going to pay for your lodging while there, now that you (maybe) have your airfare covered via Avios. We would use the Wyndham points for this, http://koloalandingresort.com/. Redemption is 15k per night. We stayed up there for 5 days the last time we were there. Stayed at a condo in Priceville. North shore Kauai is one of the most beautiful places I’ve ever been to.